Settling a legal feud that spanned six decades, MGM has reached an agreement with the estate of writer Kevin McClory, who claimed to have been instrumental in the creation of Thunderball and ferociously defended his legal rights to that story for decades. McClory purportedly co-wrote a screenplay with Fleming that the Bond creator later repurposed for his Thunderball novel, which was then repurposed again for the 1965 movie. McClory said he even gave Bond creator Ian Fleming the idea to put his superspy character in movies. News of MGM’s acquisition of the rights comes via Deadline Hollywood, which is also reporting that the settlement, whatever it entails (the safe bet is on either loads of money or an official pair of tiny James Bond swim trunks), finally grants MGM full legal rights to Thunderball. 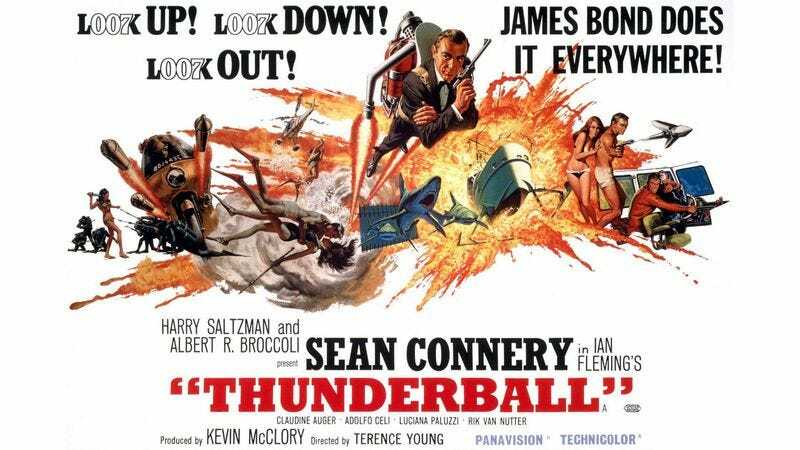 In the ’90s, Sony made some noise about starting up its own Bond series using the McClory Thunderball rights, but the studio made the classic mistake of disclosing its entire evil plan before just going through with it already, and MGM rained lawsuits upon Sony until the upstart relented. With the entire Bond catalog back in MGM’s control, the alternate-Bond-universe scheme is unlikely to arise again.